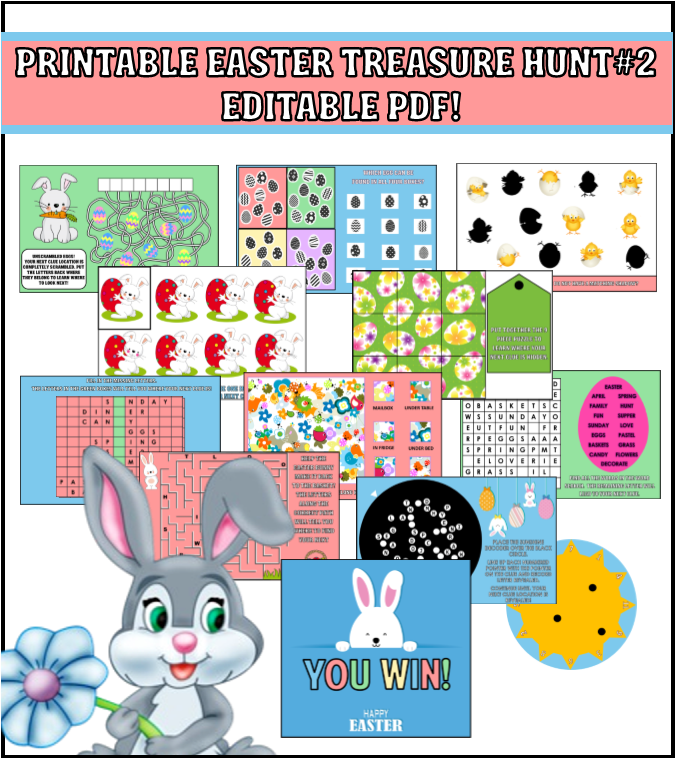 Our exclusive printable Easter Treasure Hunt Game was so popular last year that we created a second one for those that wanted to have another Easter hunt this year, but needed new clues. 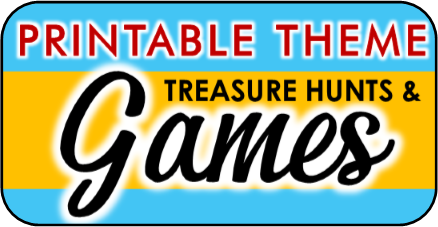 This hunt is even better because it actually allows you to edit the hunt beforehand to include your own hiding locations so that you can play anywhere! 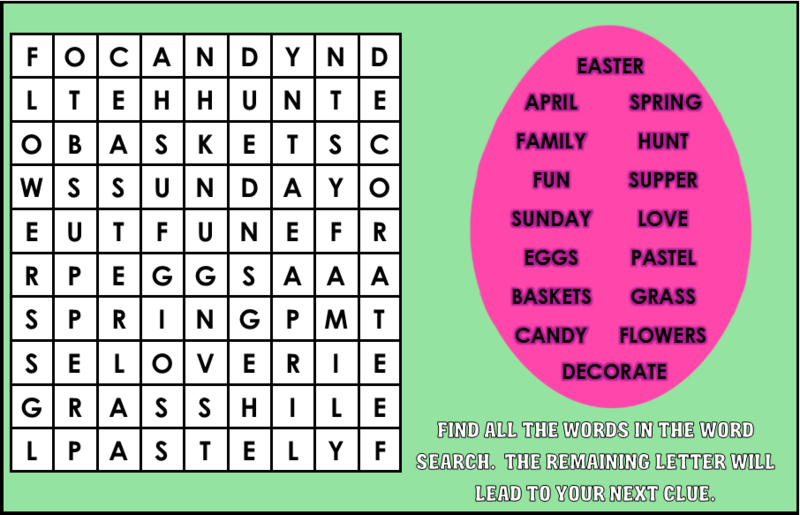 The hunt features 10 clues that are themed around Easter Bunny and Spring (we are working on a biblical based Easter hunt, but this is not the one). 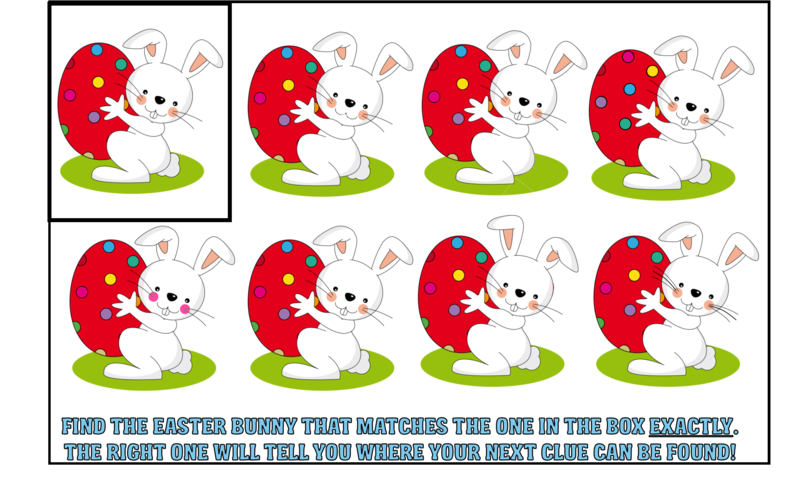 Each clue is a different type of game, puzzle, or challenge for the players to solve to learn the location of the next clue. The variety of the clues is great. 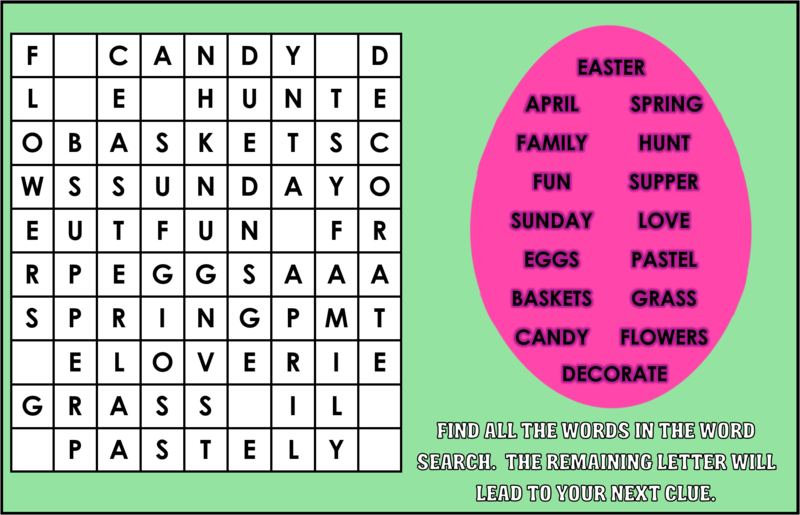 One clue is a maze, another a secret message you can only discover with our sunshine decoder, another is a puzzle that players must put together, another a word search that when all the words are found the remaining letters spell out the next clue location, another is a challenge to determine the real Easter Bunny among the impostors, etc. how does the easter treasure hunt #2 work? To begin the game give the players that first clue you put aside. Let the fun begin. Happy Easter! 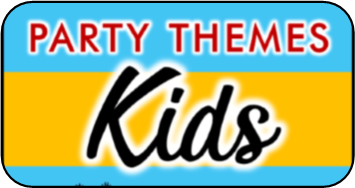 GET your EASTER treasure hunt PARTY GAME NOW!